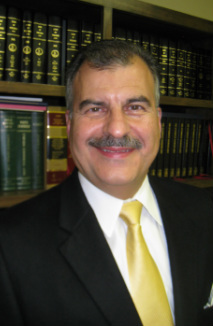 Clients’ Bill of Rights - George J. Kokorelis, P.C. All legal matters discussed in this office are CONFIDENTIAL and no information will be disclosed to the public unless I have acquired your prior permission. As a sole practitioner, I will be thoroughly familiar with your case and you will not be lost in the “shuffle” as is the case with a large firm. You will be getting personal attention and your legal matter will be handled by me personally and efficiently. You will be treated kindly, courteously and professionally. Your telephone calls are returned immediately or within two (2) hours at the latest. Your legal matters will be handled in a timely and professional manner. You receive copies of all documents, letters and other correspondence. You are continuously kept informed about the status of your case. You will be advised of all of your legal options and ramifications. If necessary, additional appointments can be set up to discuss your legal matter at your convenience. Legal fees will be discussed up front and there will be no surprises. My office will strive to keep legal fees to a minimum and if there is any increase, to inform you of the increase as soon as possible. Where applicable, monthly statements will be sent to you, itemizing all costs and expenses. Credit Cards available for payment. Visa, MasterCard and Discover card(s) accepted.